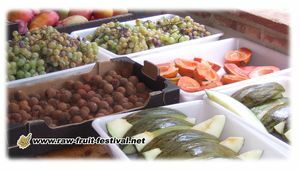 The financial contribution for the 2019 Raw Fruit Festival are detailled in the table below, adults members of the NPO PURAW organizing the Raw Fruit Festival can get a special price (-- € total per adult with yearly membership included) for the Raw Fruit Festival, as indicated in the table below. 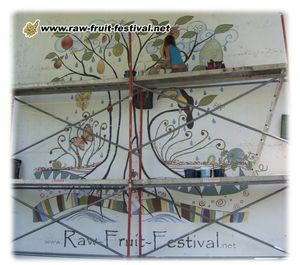 Being a member of PURAW not only gives you a cheaper entrance at the Raw Fruit Festival but also supports PURAW in its different actions and projects as well. 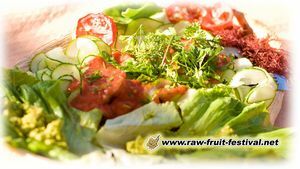 Non members fees for the Raw Fruit Festival are also indicated in the table below. 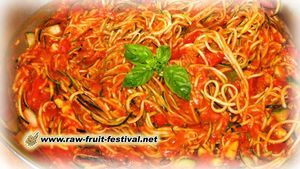 PURAW members coming to the Raw Fruit Festival in couple are also eligible for a discount. 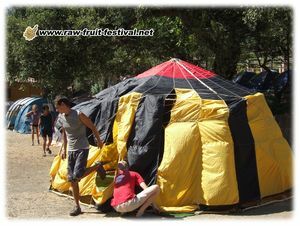 We do our best to make sure the Raw Fruit Festival stays the most affordable one around. This price includes all the organization fees, tent and blanket and mattress for camping (if you want to bring your own gear, feel free of course), and hammocks too, and food of course (day long buffet), the activities. We offer the possibility of reserving a cabin for two persons with private bathroom, for an additional cost of -- € per person or -- € for a couple or two persons sharing a room. Places are limited and priority is given to members of PURAW participating to the full week, so let us know asap. The shuttle from the airport is not included in the price, and a contribution of -- € per person is requested per trip (about 2 hours). We plan to have two shuttles on Sunday September 01 from the airport to the Festival, leaving the airport at noon and in the late afternoon, between 4 and 5 pm, depending on the arrival time of the participants. We will also have a shuttle from the Festival to the airport on Sept 07, leaving around 7 am and arriving at the airport around 9 am at the earliest. Several bicycles are available to the participants during all the Raw Fruit Festival. Each participant will receive a canva bag with a towel, a metal bottle, a palm leaf plate, a pocket knife and bamboo silverware, with the logo of the Festival as a souvenir gift! coming from Sept 1 to Sept 7, 2019 : -- €. The main attraction during the festival is swimming. Several natural pools are within walking distance. It is also very nice to hike up and down the river looking for a quiet swimming hole. Lots of trails nearby offer great hiking, running or mountain bike riding possibilities. You can also go for a walk in the cork oak and chestnut forest for half a day or for the whole day. Several traditional white villages can be reached walking through the old pathways called veredas. If a group of cyclists can be formed in the morning, Stéphane will be happy to take you around on the trails he often rides. We have seven mountain bikes available for participants with helmets, bring your riding gear for more comfort. Yoga and stretching workshops as well as core training (oriented for running) and fitness, exercises on bars will take place in the mornings, and we will have plenty of frisbees for ultimate games or to just play around. Discussion groups are being organized every afternoon. Different subjects will proposed, to ease the discussions and exchange between the participants. If people are interested, we can also organize visits to small family farms nearby (small groups only). In order to promote discussions between the participants, we will facilitate some ice-breaking exercises on the first evening, in the hope that people will join in community from the very beginning of the Festival. Sport and outdoors activities will allow participants to meet during the entire Festival. Last important point, the Festival is totally raw, vegan and non-smoking, alcohol-free and drug-free. Any person bringing in or consuming such products during the Festival will be asked to leave right away.